One of the biggest single expenses in a couple's life can be their wedding. Even if the bride and groom decide to be economical, it's difficult to say no to just one more thing. That's fine, until it comes time to figure out how to pay for the wedding. Traditionally, the parents of the bride paid for the actual wedding, back in the day when there weren't so many expectations for lavish ceremonies and receptions. The dress, flowers, photographer, and refreshments after the wedding were the main expenses of the big day. There were also ways to cut the costs by having the bride wear her mother's dress and friends filling the buffet table in the church fellowship hall. Not only have dress prices risen over the past several decades, but expectations for "that perfect day" have also increased. Brides and grooms have decided that photos aren't enough, and now they want a videographer. Cake and punch in the church basement has given way to lavish sit-down dinners for everyone who attends the wedding. Regardless of what you choose, remember that emotions typically run high during wedding planning. Be careful what you say and how you say it to the family you're marrying into. 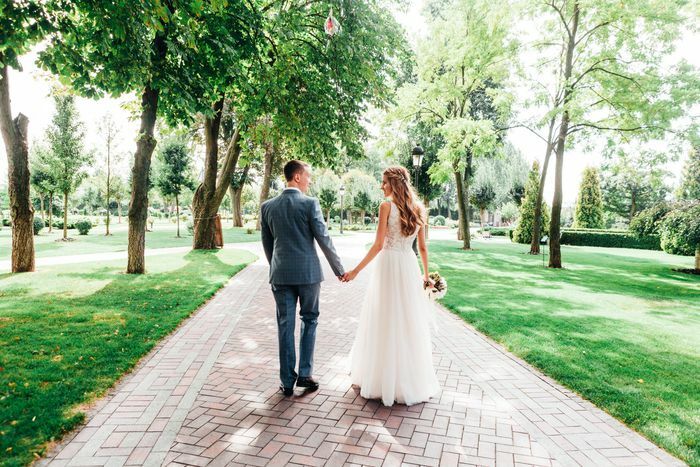 Today's wedding is more focused on the experience of the event and making memories than simply a ceremony and send-off for the bride and groom. Remember that there are creative ways of having a special day that doesn't break the bank. Have a destination wedding. This will cut back on the number of people who will attend, so you won't have massive numbers of people to feed at a sit-down dinner reception. Have a family-only wedding and a party after the honeymoon. The party can be a backyard barbecue, open house, or housewarming party that should cost quite a bit less than a large reception. Skip the wedding by eloping. Send announcements when you return and invite friends over to show pictures of your honeymoon. Selfies are less expensive than a professional wedding photographer. Barter with the different vendors. If you have a skill that others can use, discuss this with your photographer, videographer, florist, and other people who may want to exchange services with you. Have your wedding and reception in one spot. You don't have to have a sit-down dinner. You can have a table of refreshments with finger foods and drinks instead. Have a DIY wedding and ask friends to participate. Pick flowers from your garden or put together a bouquet from the grocery store. You can have a cake-making party the day before and ask musically gifted friends to play and sing for the event. Some people want to hang onto the old rules and guidelines, and there is nothing wrong with that, as long as it doesn't cause a financial problem. Even if you plan to have a traditional wedding, the bride's family doesn't have to bear the entire burden of cost. Some of the expenses are typically paid by the groom or his family. When determining your wedding day plans, you may decide to go full-on with tradition or alter them to suit your needs. It's best if you can get everyone to sit down and discuss what you want and who will pay for it without anyone losing their minds or their life savings. Be flexible with traditions and switch them around to suit your financial needs as a couple. 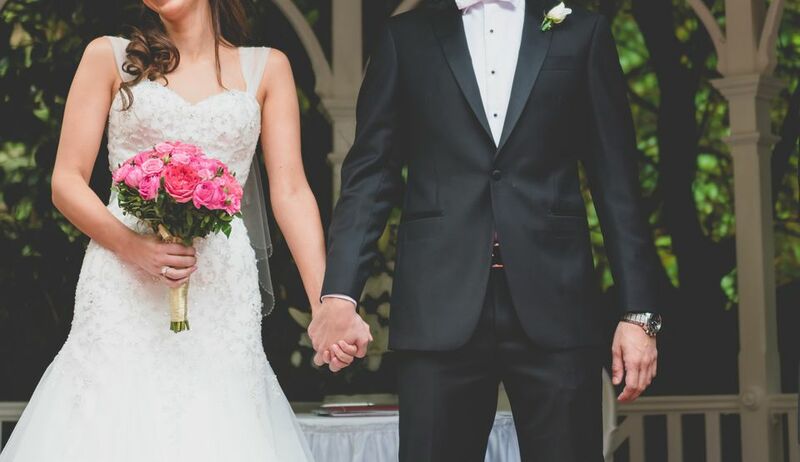 Don't forget that the primary goal on the wedding day is for the couple to say their vows in front of family and friends who care about them. Everything else is extra.